Often the only structures available for animals to cross a road safely are those that already exist for hydraulic permeability, such as drainage culverts. 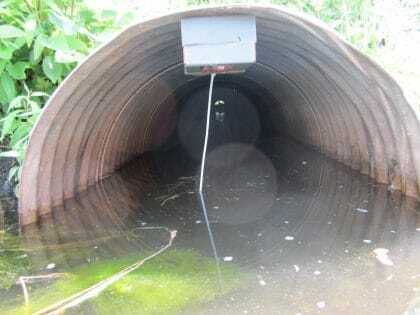 Corrugated Steel Pipes are one type of drainage culvert and generally vary in size from 800 mm up to 1,800 mm. 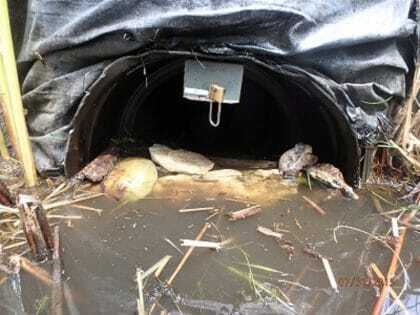 When animal exclusion fencing is installed that abuts these culverts and spans along the wetland habitat, aquatic animals such as turtles, frogs, and some snakes can be funneled to the culverts. 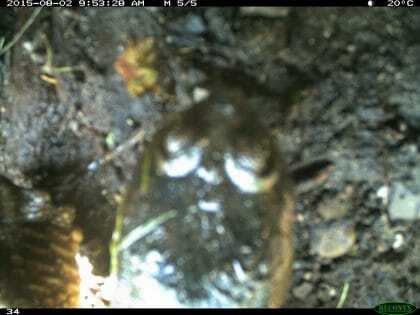 However, monitoring is challenging because there is water, the animals above are cold-blooded, and exposed cameras are subject to theft. Eco-Kare is continually exploring better monitoring techniques that fits each projects needs. Pictures below are at a Highway 6 culvert where fencing was installed. The target animals were snakes. There was about 1 foot of water present. Improved techniques are continually being explored to capture reptiles under these conditions. 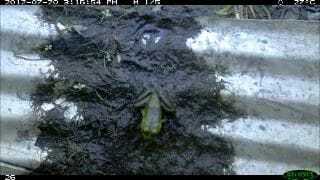 Pictures below are at a Highway 7 culvert where fencing was not installed. The target animals were turtles. There was about 2 feet of water present. 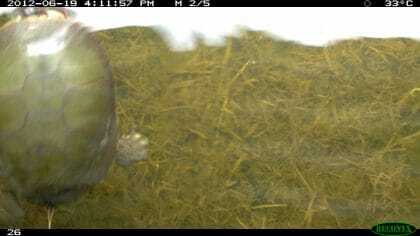 Improved techniques are continually being explored to capture reptiles under these conditions.